If the term “YouTube sensation” sounds a little inconsequential to you in the broader context of brands and influencers, you’re not alone. For many, the platform conjures visions of absurd home movies and fleeting wannabes recording pop songs. Sensations in the gaming community, in particular, have garnered scorn, despite being massively popular. According to Google, 95 percent of gamers turn toward online videos to consume gameplay media. By 2013, the gaming community on YouTube was growing faster than the overall platform in the U.S.
As a PR professional, I use YouTube to check out the images and thought leadership attributes of brands and people. But last fall, I learned firsthand how influential YouTubers could be after the success of James Wright’s video review of Patti LaBelle’s Sweet Potato Pies. By partnering with Walmart, we maximized the popularity of the video and the opportunity to drive sales. Walmart’s sweet potato pie sales skyrocketed to one per second the weekend after Wright’s review was posted. Another YouTuber who’s recently caught my attention is PewDiePie. Otherwise known as Felix Kjellberg, he commands the attention of more than 42 million subscribers. Clearly, there’s something to be said for PewDiePie. His content resonates with a vast audience, so it’s more appropriate to think of him in terms of a brand, rather than a mere YouTube channel. With his unique personality, frequent and enthusiastic interactions with fans, and willingness to present his authentic self, PewDiePie has transitioned from filming his gameplay to writing a book and producing short films for YouTube’s new paid subscription service. While I can’t count myself among his following, I do believe PewDiePie has more than a few lessons to share about building and maintaining a strong brand image. PewDiePie’s greatest strengths are that he knows his message and isn’t afraid to present his true self on camera to stand out. He’s created a brand empire from the ground up by giving his audience members something they can’t get anywhere else. PewDiePie has a unique voice that resonates across all his diversified ventures. Whether you watch one of his YouTube videos or peruse his self-help parody book, This Book Loves You, you can instantly recognize his uniquely creative perspective. Brand managers often conflate consistency with stodginess, but PewDiePie’s success proves that brand image doesn’t have to feel manufactured and predictable. Consumers in the digital age are increasingly suspicious of cheesy, staid brand messages that they believe originate from out-of-touch executives. Fans relish PewDiePie’s videos for his raucous outbursts and palpable excitement. Most people go through life just wanting to be heard, and companies that tap into this instinct can engage with customers in dynamic ways. It’s similar to one of the main tenets of customer service: When someone has a complaint, the first thing you do is listen and empathize, as that may be all that person needs. PewDiePie regularly provides his audience with opportunities for involvement: hosting frequent chat sessions, interacting with viewers in comment sections, and even allowing his followers to choose which games he plays. He understands that a brand isn’t something consumers merely, well, consume—it’s something they live. In that vein, he engages his fans in a way that elevates his brand to lifestyle status. Engagement is one of the most effective ways to drive brand loyalty, but it’s also important to remember that even the smallest interactions with customers are brand identity drivers. Therefore, it’s paramount that all content carries your brand’s distinctive voice. You can spend millions of dollars on a sophisticated ad campaign that effectively delivers your message, but a single tweet can undermine your brand if the voice isn’t consistent. In many ways, YouTube is the great equalizer: Anyone can produce and publish content and see if it finds an audience. PewDiePie leveraged this opportunity and created videos that provide unique value for his viewers and prove massively successful. While his brand changes somewhat over time and he shifts into new ventures, PewDiePie ensures that the foundation of his image is centered on being the goofy guy who creates must-see gaming videos on YouTube. The dynamics of a brand’s image should always be evolutionary, not revolutionary. If PewDiePie had completely overhauled his brand identity and hired an entire film crew upon releasing a book, he would have confused his loyal followers. Organizations need to adjust their brand strategies as they change, but small tweaks over time won’t dilute their messages. 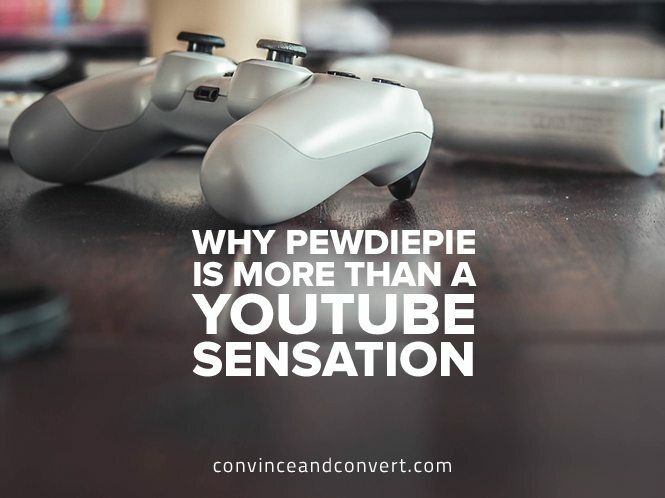 As PewDiePie’s empire grew, he kept his focus on building one of the strongest brands in media by remaining consistent and authentic, engaging with his fans, and communicating his value proposition effectively. These lessons are applicable to brands in any industry, and PewDiePie’s story proves that inspiring examples of brand management success aren’t confined to the likes of Apple and McDonald’s.